Having a membership in a team goes beyond just being part of the group. You membership should give you a sense of belonging and the right to belong. No group is equal; people come together to form them for different reasons. Therefore, knowing the goals of a group is quite important because it is wise to join a team that will not only interest you but also build you as an individual. 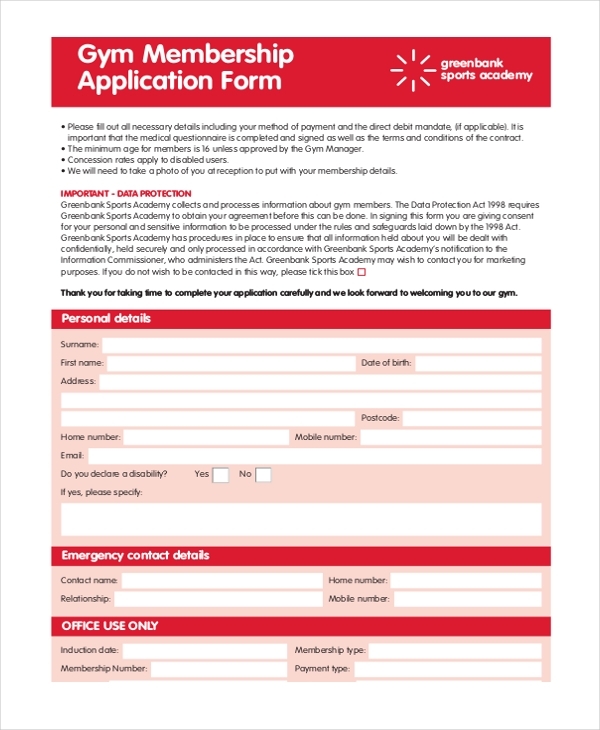 Let’s look at useful Application Forms, and learn their significance. 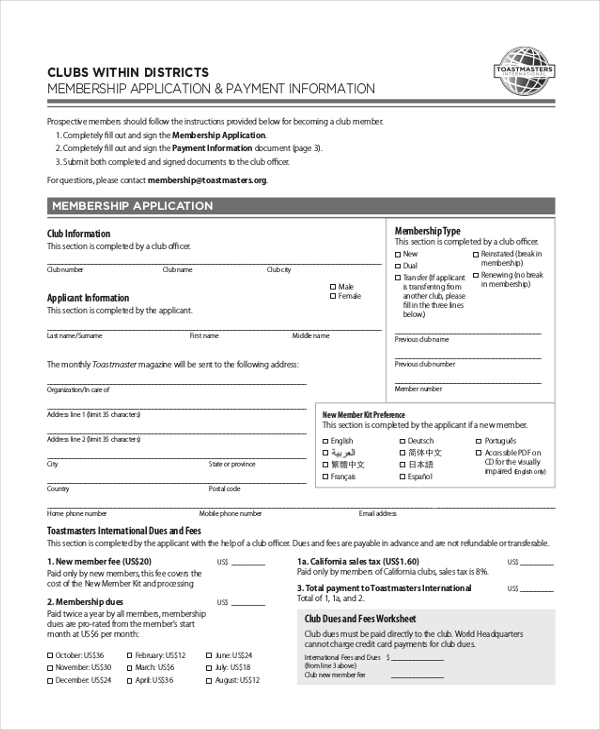 The form is relevant to those who would like to become club members. Fill the form as required; make sure you provide true and accurate information for easy registration process. Being a member of a church, of course, requires love and sacrifice. You aren’t going to get a payment for the service rendered, but the willingness to serve is worth is. Use this form to sign up for membership. People register for gym membership for two reasons: to lose weight and to keep fit. Therefore, identify an appropriate gym, and then sign and submit this form to be considered as a member. 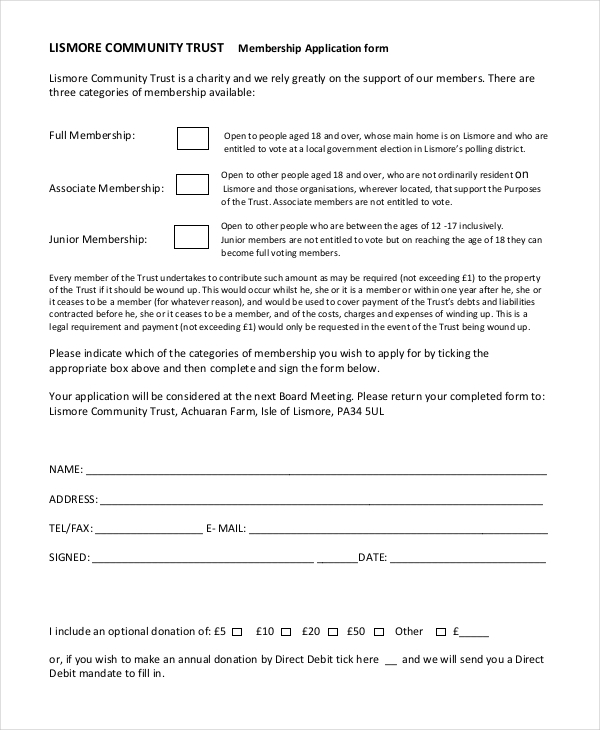 If you’ve found an interesting society and you would like to become a member, consider filling this form. Of course, the benefits of being a member include all the benefits as specified in a separate membership contract of agreement document. The form is for people who would like to have an affiliation with a hotel of choice. Mostly likely, the membership is inclined to an investment deal because that is the real thing here. 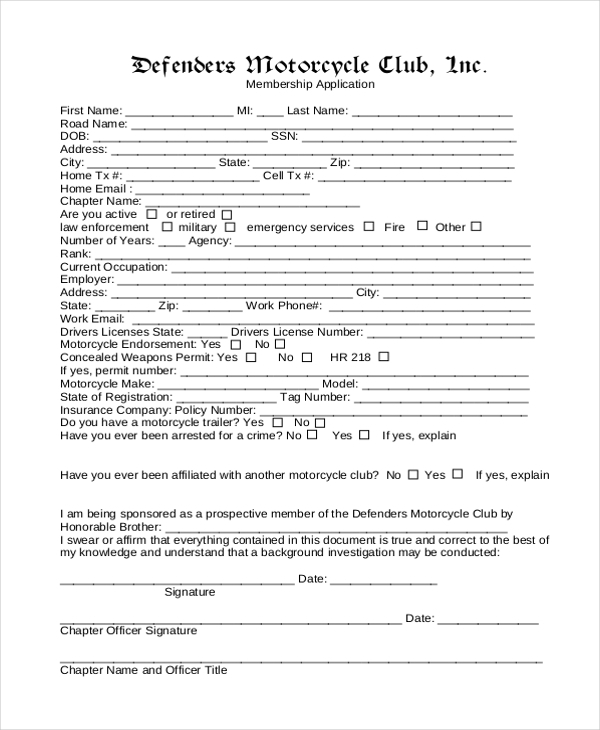 The membership can be anything related to motorcycle. It could be a savings society, a business community, or a parking deal, just to mention a few examples. Fill this form if would like to be a member of an identified group. 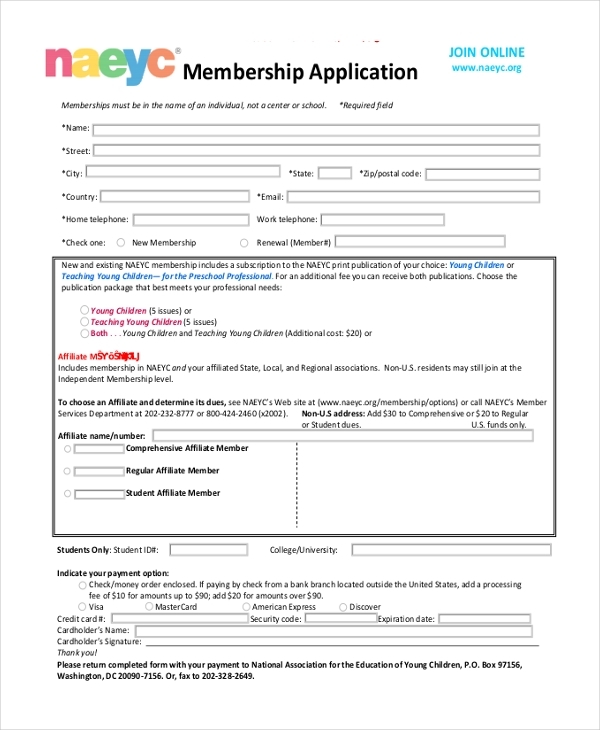 Use the form to register for education group membership. The group can be for students or teachers, depending on the type of registration and the focus of the group in question. 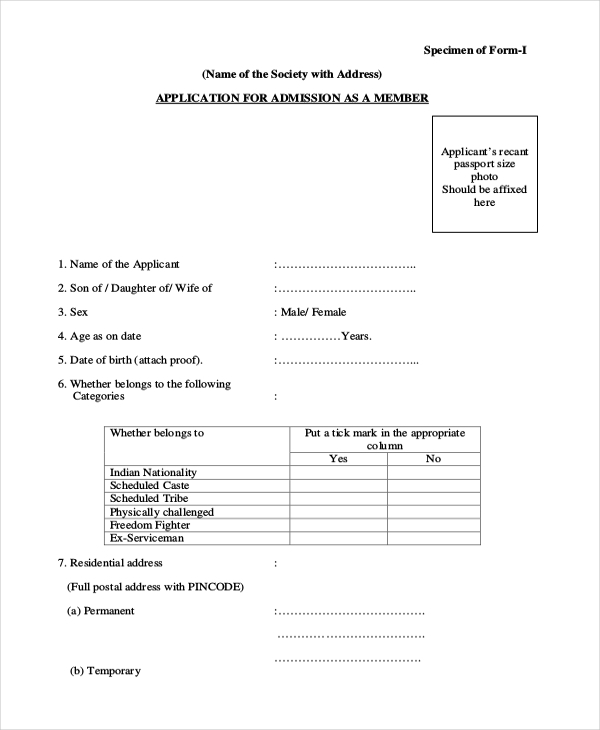 The only best way to give yourself a guarantee that you can become a member of the society is by filling this form accurately. Of course, the form has quite a lot of details, so you must be careful when filling in data. 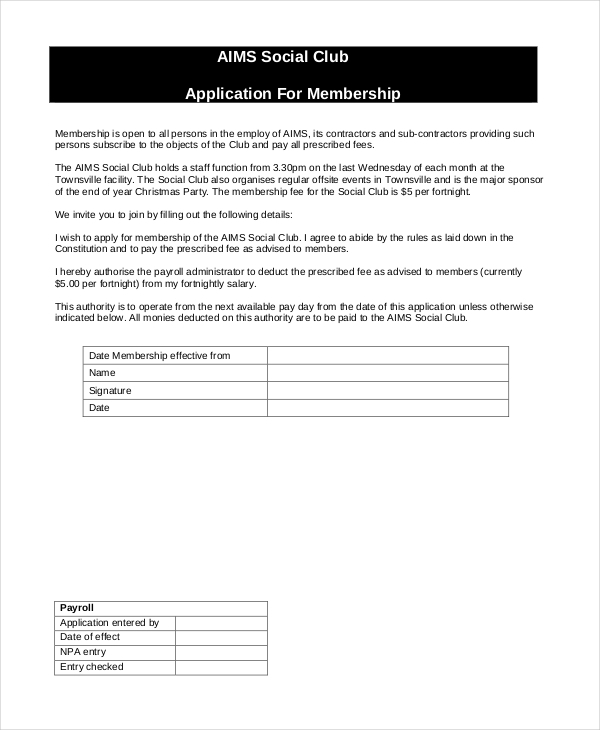 Social Club Membership Application form templates are easy to fill. They are best for those who would like to become members of different society clubs. The form pretty much covers the basics required to become a social club member. Trust membership groups are slowly becoming popular, and people continue to join the league because of the many benefits. Fill this form if you, too, would like to become a part of the team. 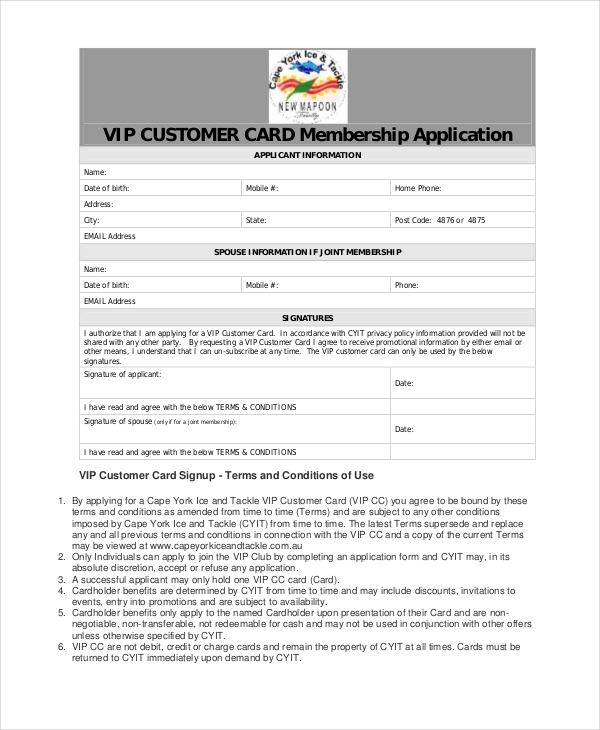 If you would like to become a Very Important Person in a group of whatever kind, you should fill a VIP Membership form. 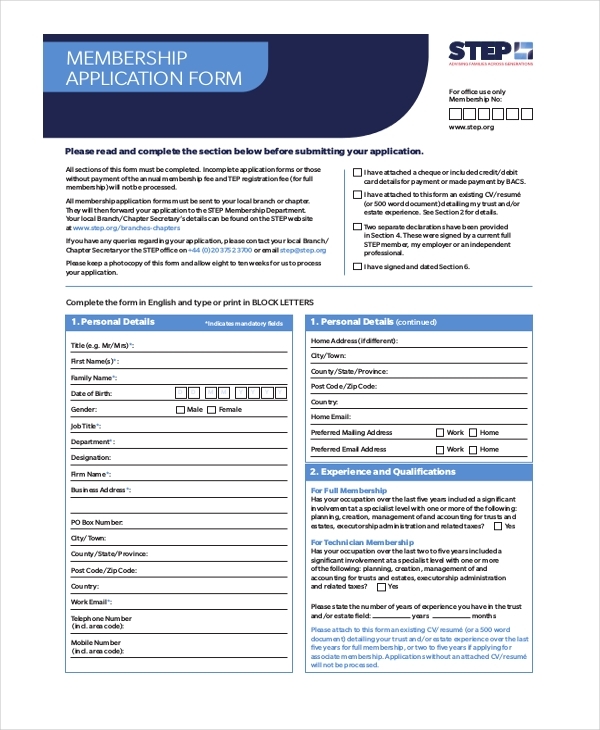 Of course, the form is easy to fill, so you shouldn’t have a difficult time reading through. Being a member of a welfare group not only means well-being to you but also social benefits to other people out there. It pretty much narrows down to serving the community. 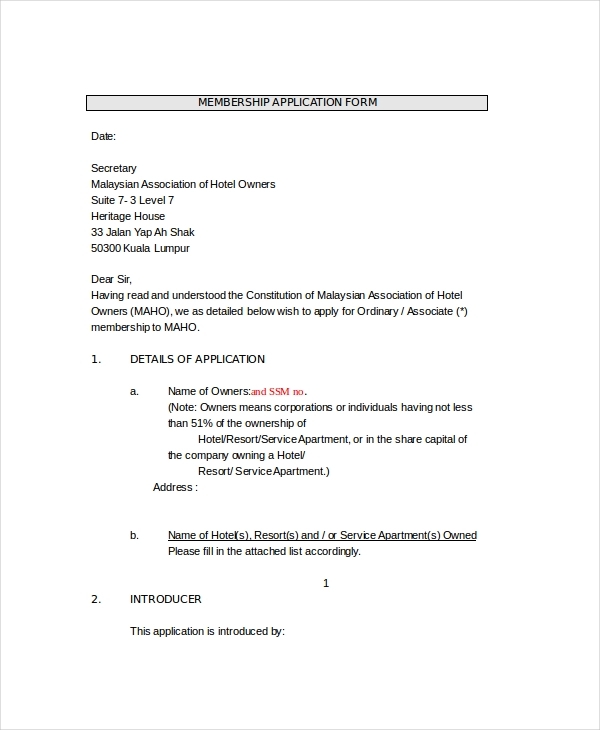 What is Membership Application Template? 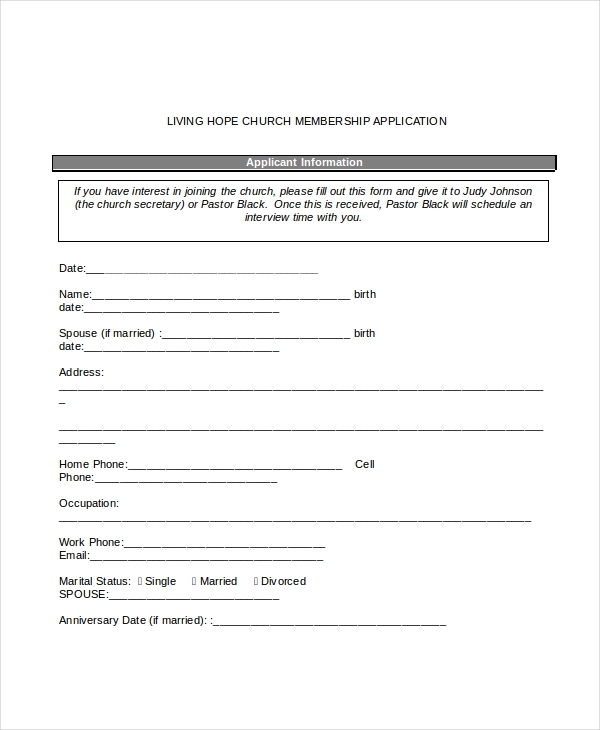 What’s The Necessity of Membership Application? There are many membership groups out there. So many, in fact, they are beyond the scopes of the forms mentioned in this article. However, once you know the group you would like to join, signing up should not be difficult at all. Each group has individual and collective benefits, so being a member of one is pretty much worth it.